ON Saturday November 17, a couple of by-elections to fill vacant parliamentary seats will hold across some Nigerian states. 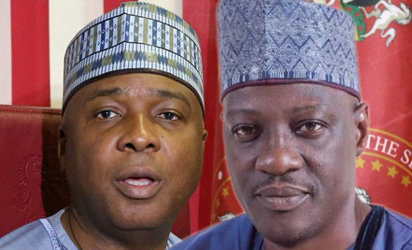 That includes Kwara State which recently lost a member of the House of Representatives representing Oke-Ero/Isin/Ekiti/Irepodun Federal Constituency, Funke Adedoyin who was elected as a first-time lawmaker on the platform of the Peoples Democratic Party, PDP, in 2015 amid allegations of rigging. In line with the relevant laws, however, an election to fill her seat is scheduled to hold this Saturday. Notwithstanding Nigeriaâ€™s plethora political parties, analysts have said that the election is basically a two-horse race between the stateâ€™s ruling Peoples Democratic Party, PDP, and the mega opposition party All Progressives Congress, APC. While the PDP is fielding Saheed Alatise, a businessman, for the election, the APC is putting forward Abdulraheem Tunji Olawuyi (Ajulo), another businessman. Both men are incidentally from Omu-Aran, a hugely populated town in Irepodun local government area of the state. But this election would neither be determined by votes from Omu-Aran alone nor by just the calibre of the candidates â€” even though these two factors will amply come into play too. All factors considered, APC seems to hold the ace in an election that means so much for the two political parties.